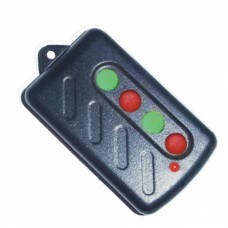 Keyring remote control at 433Mhz frequency. 2 channelsRange 30mPower 10mWCompines with :N601B-12V, &..
Keyring remote control at 433Mhz frequency. 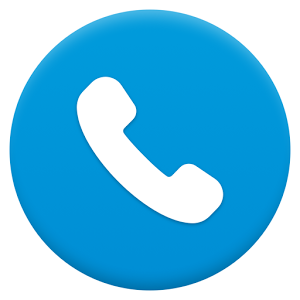 4 channelsRange 30mPower 10mWCompines with :N601B-12V, &.. 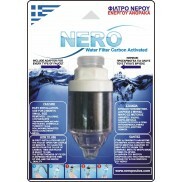 The remote receiver receives and executes commands from the remote control giving us the possibility.. Remote receiver 433 Mhz , 230Vac ,4 CHANNEL RECEIVER PUS-ON or ON-OFFSPECIFICATIONSTYPE: .. Remote Control Receiver 1Channel, 12Vdc octal baseUsed to open and close an electrical appliance.SPE.. 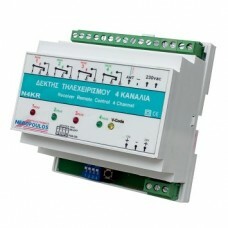 Remote Control Receiver 1Channel, 24Vdc octal baseUsed to open and close an electrical appliance.SPE.. Remote Control Receiver 1Channel, 12Vdc screw terminalUsed to open and close an electrical appliance.. 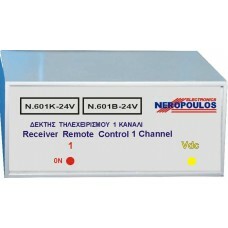 Remote Control Receiver 1Channel, 24Vdc screw terminalUsed to open and close an electrical appliance.. Remote receiver 433 Mhz , 230Vac ,2 CHANNEL RECEIVER PUS-ON or ON-OFFSPECIFICATIONSTYPE: .. 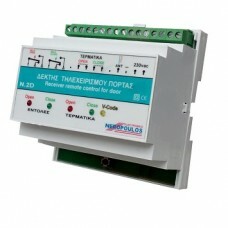 Remote Control Receiver 2Channel, 12Vdc octal baseUsed to open and close an electrical appliance.SPE.. 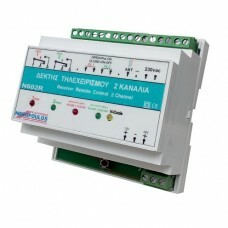 Remote Control Receiver 2Channel, 24Vdc octal baseUsed to open and close an electrical appliance.SPE.. Remote Control Receiver 2Channel, 12Vdc screw terminalUsed to open and close an electrical appliance.. 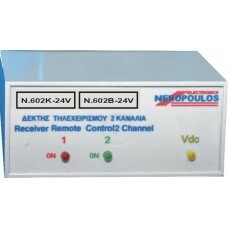 Remote Control Receiver 2Channel, 24Vdc screw terminalUsed to open and close an electrical appliance..